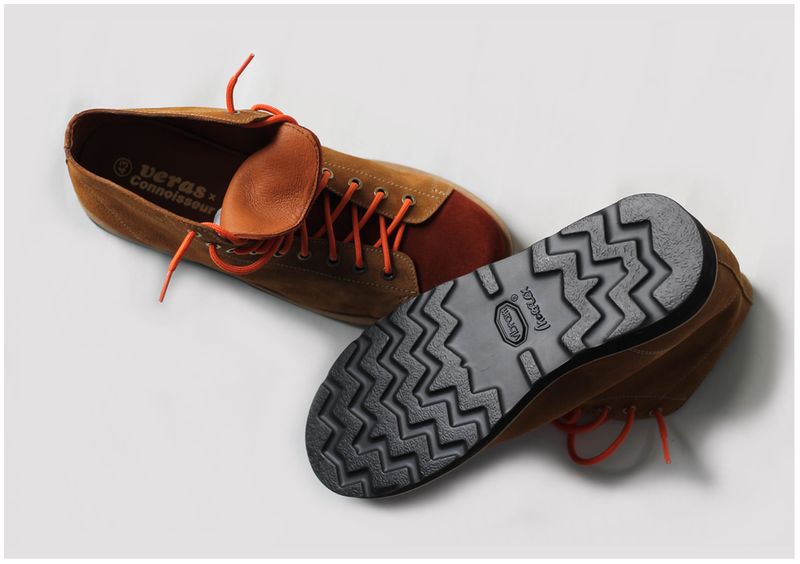 A super fresh new collabo with Veras Shoes. The 'Overlook' boot continues our obsession with Kubrick's classic. 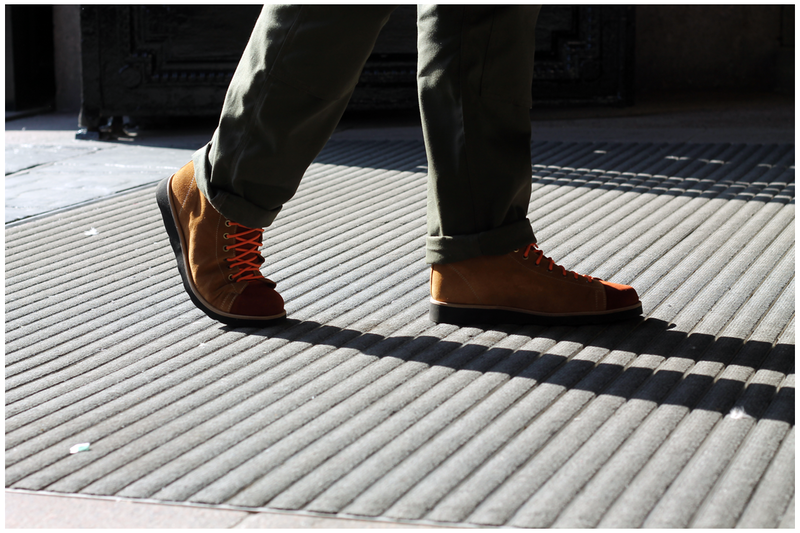 Perfect for poncing up and down the corridors of a strangely carpeted Colorado hotel. Or maybe just your local pub. 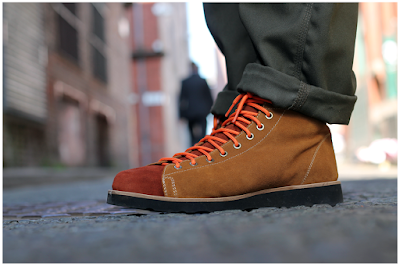 A classic, proper lightweight nine eyelet boot, made by hand in Spain, coming in a contrast two tone Whisky and Burgundy suede with contrast Orange round laces. Subtle duel branding stamped on the insole. 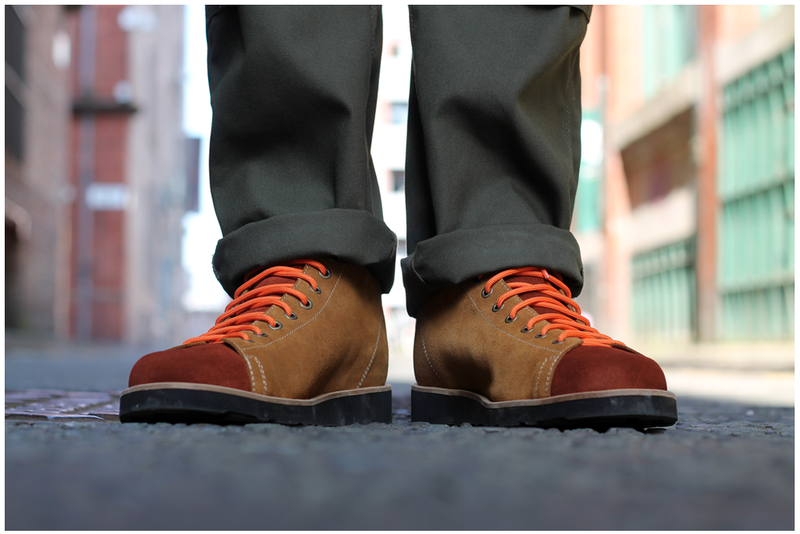 Completed with a Vibram® Morflex sole unit with solid shock absorbing capabilities. 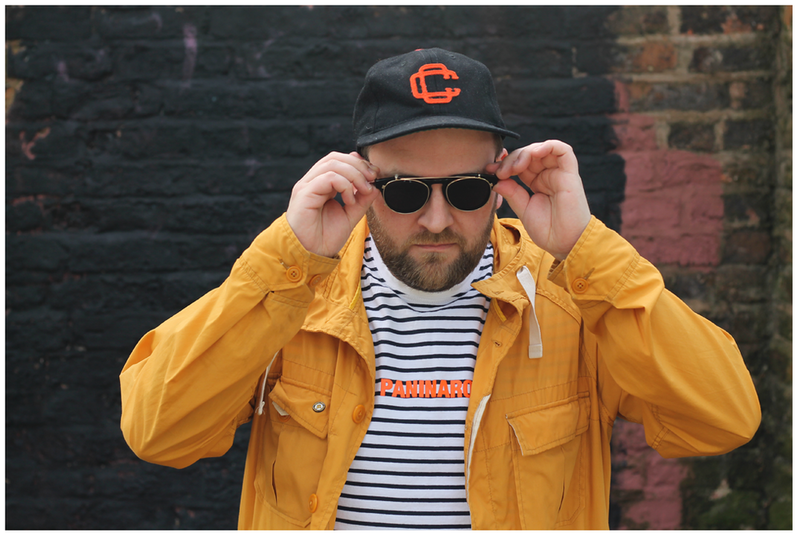 Three new t-shirts going online over this week and next. 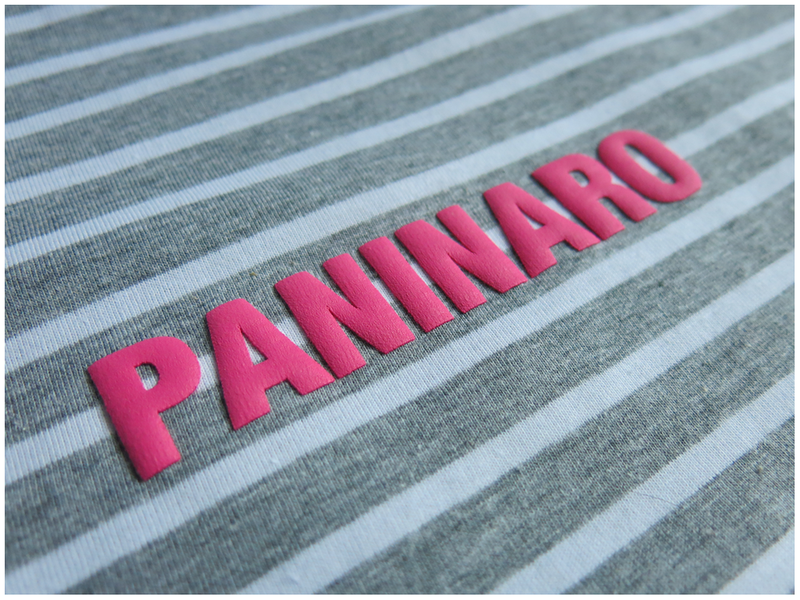 We've got our Yuuurs tee, a new and the original version of the Paninaro striped tee and our new Shining tees. 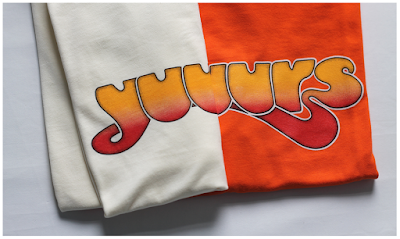 First up our Yuuurs tee on Ecru and Orange, tonight at 7pm. 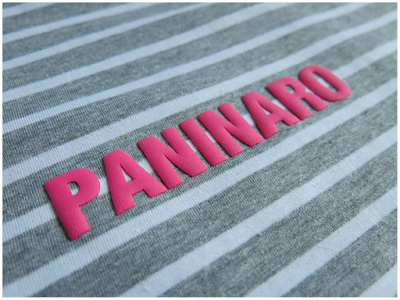 Paninaro tees new Gry stripe with raised pink print. Released Tuesday May 8th at 7pm. And finally our Shining Connoisseur tees. 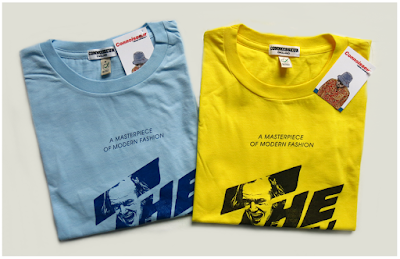 On Yellow and Sky Blue. 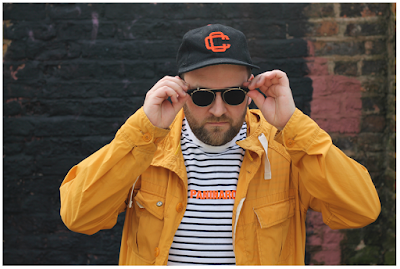 Released Monday 14th May at 7pm.